This compact survival kit is packed neatly into a durable waterproof cooler bag. It is perfect to keep in the office, in classrooms, at home, or in the car. 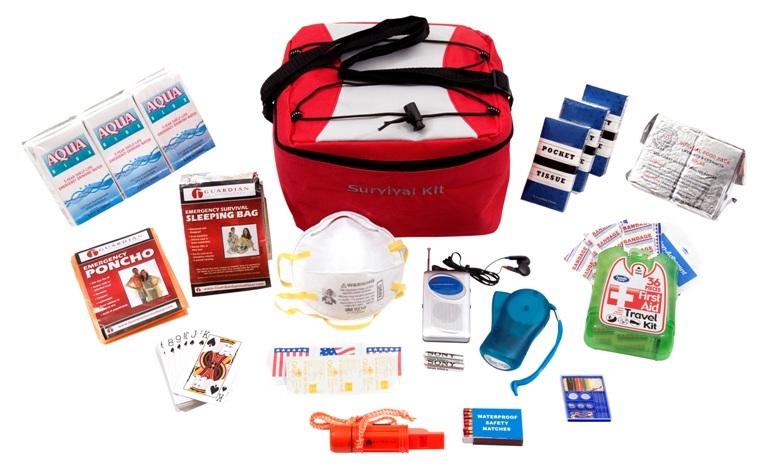 The red cooler bag has the words "Survival Kit" on the front, an adjustable shoulder strap, tie-down cords on top, and a reflector stripe in the back.